These are some great states and places to get out and visit. Boston would be my first choice because I haven't really been East before. I love in San Antonio ;) It is pretty awesome. The riverwalk can get rather crowded, but if you got at good times, it's lovely. We've also been to Branson and loved it! We'll have to check out these other places at some point. Oh goodness, you have me wanting to pack up and travel to see these places. I am certain we'd all enjoy them, especially being outdoors. 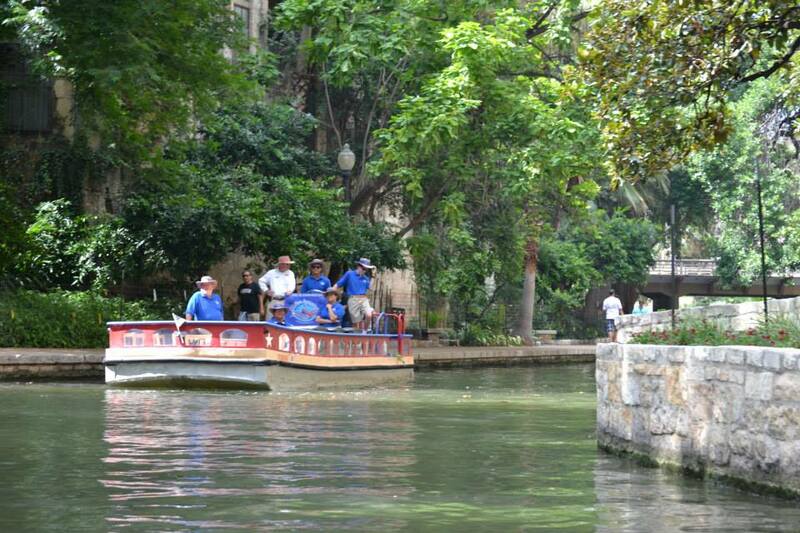 The San Antonio River Walk would be one of our top faves. These look like wonderful places to visit. Texas is definitely on my list. I'm still in the process of planning our family vacation. Hopefully, we'll be able to visit the River Walk this year. Such great ideas and I know we need a family bonding vacation like one of those. We plan on a road trip soon which will hopefully be as good. I love these ideas as they aren't what one would expect! I grew up near Boston and haven't take then kids there for a proper vacation yet, just the normal science museum and aquarium and clearly we need to get back there as there is more to see and do! Definitely some great destinations on this list. We used to go to Gatlinburg several times a year. There is nothing like a good holiday is there! These sound absolutely amazing for a family get together as well! I see a couple of places that are on our wish list! Hopefully we can visit some of them on our Summer road trip! Wow, those are really awesome destinations to visit of the whole family and I am sure everyone really enjoyed exploring those places. I am a big fan of Branson. It's only about three hours from my house and we love to go and see the shows and play on the lake. I can't wait for summer! I really need a family vacation! These are wonderful places! We are visiting Boston this summer - it's one of my favorite cities! Thanks for offering up some new adventure ideas, we'll definitely check out the science museum this time around! I'm from Missouri and Branson is such a fun place to go to. Now I live in Florida and the Space Coast is great fun for the whole family. So much to learn. These are amazing places! Thank you for the recommendation. Will surely add these to my list! I've been to Boston, my family and i really had a great time! We love fresh seafood, especially Maine Losbter! I LOVE Boston! It is such a FUN vacation spot! I visited very briefly a few years ago and hope to go back soon!